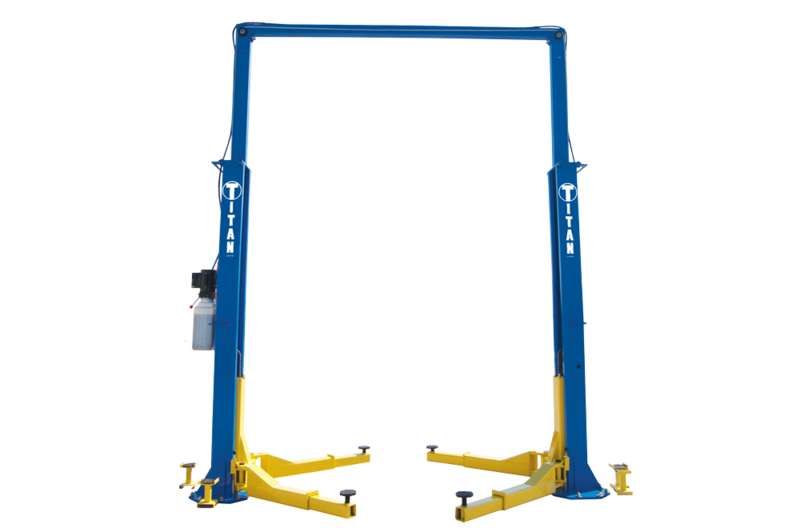 The Titan 15,000 LB 2 Post lifts are commercial grade and ideal for automotive service shops or auto enthusiasts. They come with a 220 Volt power unit easily adaptable to most commercial applications. 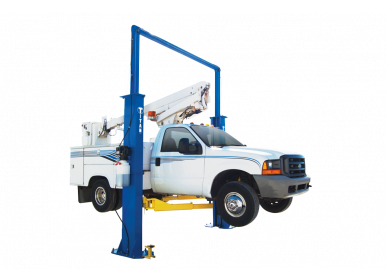 These lifts have the heavy-duty leaf chain, the steel pulleys, the high-strength cable equalization system and everything you'd expect from a quality lift. 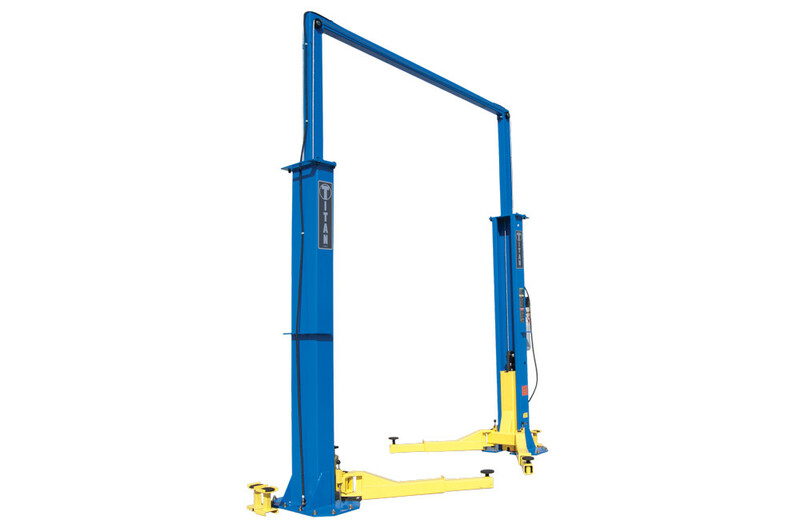 They come in a durable scratch resistant Cobalt Blue powder-coated finish with bright yellow arms for safety. The Titan 15,000 LB 2 Post above ground lifts should be installed on a concrete floor with a minimum thickness of 6 inches and 3,000 PSI strength. 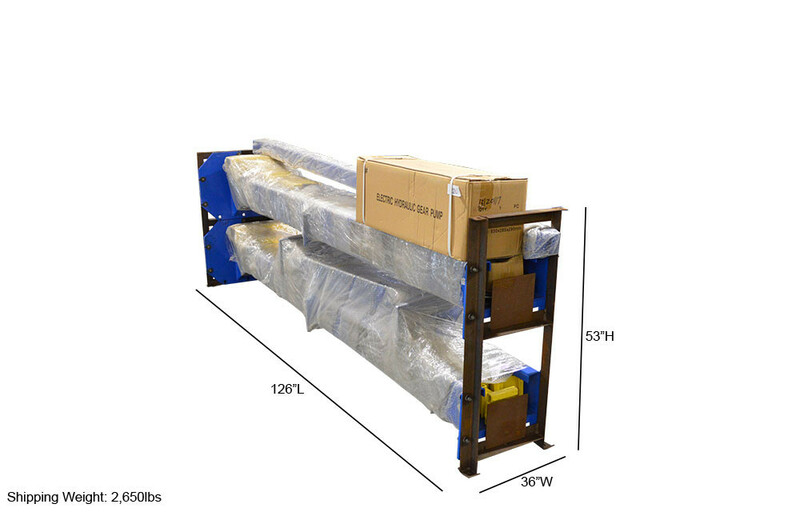 These rugged and versatile lifts are engineered and manufactured to the highest quality standards to provide you years of trouble free service.